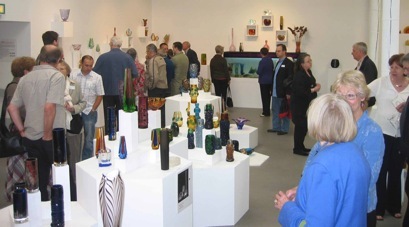 A view of the main room of the exhibition, on the evening before the opening, showing the incredible collection of designs by factories and designers across four decades of Czech glass. 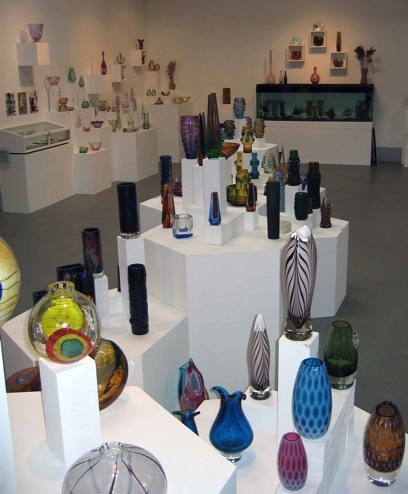 The calm before the storm – another view of the main gallery before members of the Glass Association arrived for a special preview and a series of talks on Saturday 12th July. 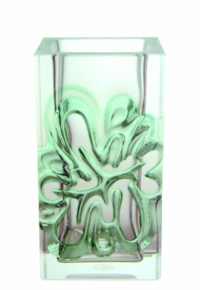 Designs produced by Milan Metelak, Pavel Hlava, Jiri Suhajek and Jan Kotik were dotted across the multi-level central display. 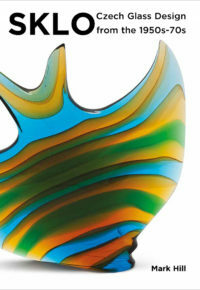 Check out the fish tank in the background that included Exbor fish sculptures around which swam real fish! 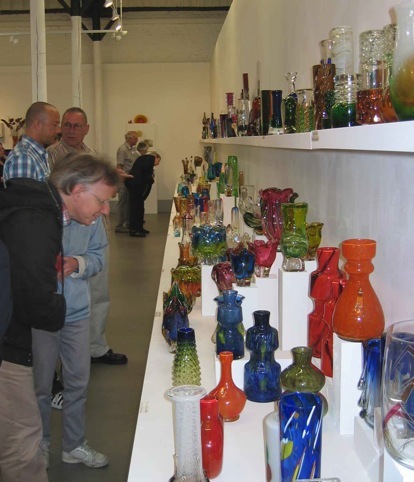 Waves of glass and 20th century design lovers from across Europe and the UK enjoyed the varied and colourful display throughout the opening weekend. 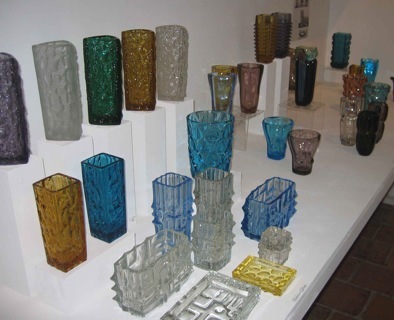 Francis Grew, curator of the Museum of London, studies the display of glass designed by Josef Hospodka and Frantisek Koudelka. 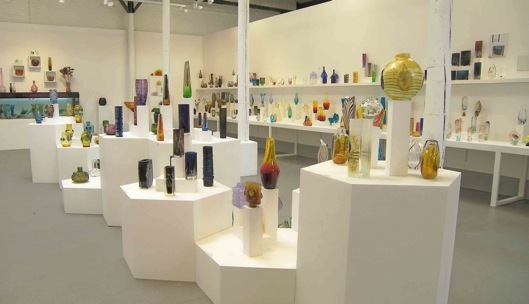 The central display included a selection of vases and art objects produced by Exbor and designed by Pavel Hlava and Karel Wunsch. 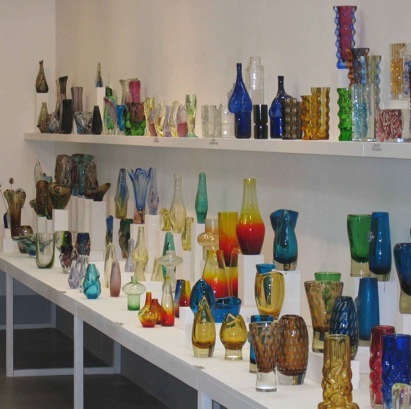 Over 200 pieces of modern, avant garde pressed glass produced by the Sklo Union factories were displayed in a separate, dedicated room. 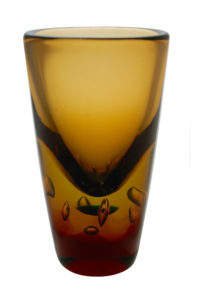 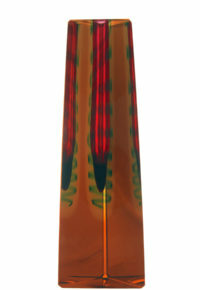 Designers of pressed glass represented crossed the decades and included Vladislav Urban, Frantisek Vizner and Jiri Zejmon. 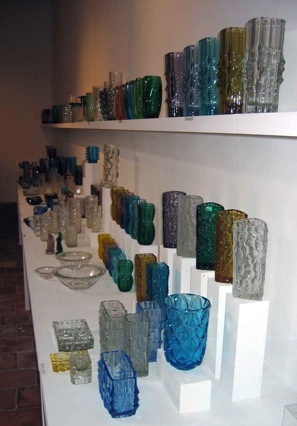 The stunning display of glass designed by notable names including Jan Gabrhel, Milan Metelak, Oldrich Lipsky and Emanuel & Jan Beranek. 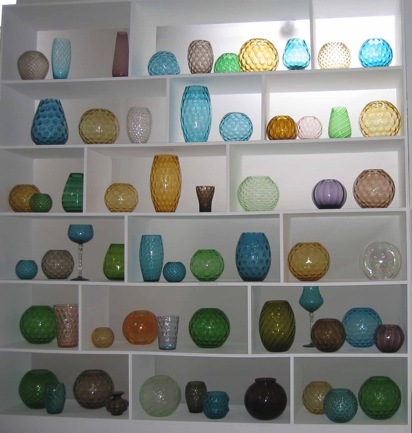 The display of optical mould blown vases produced at Borské Sklo from the 1950s-70s. 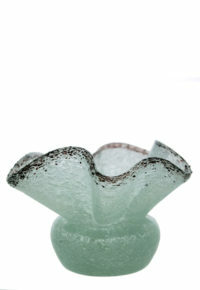 These have already become popular with collectors and interior decorators. 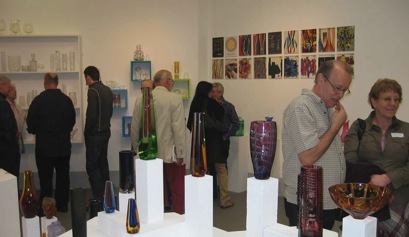 Still smiling after a busy but highly enjoyable weekend! 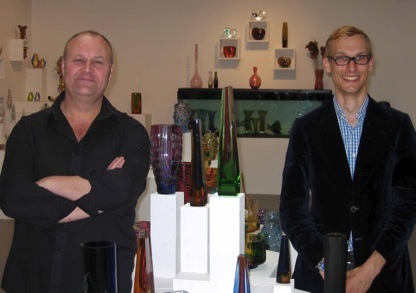 Dr Graham Cooley, owner of the collection, and Mark Hill, author of the accompanying catalogue, amidst the glass.